We've updated our fundraising platform integration, for JustGiving, Everydayhero, BT MyDonate and Makeadonation. We've added more flexibility, so you can control how prominent the fundraising step is and where it happens in the entry process. 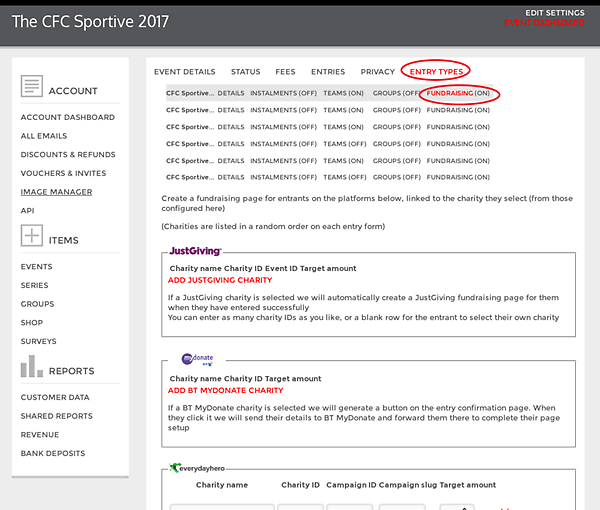 'Screen after entry confirmation' is more prominent - after paying, entrants see your list of charities right away. This is a good idea if your charities are a major element of your event. 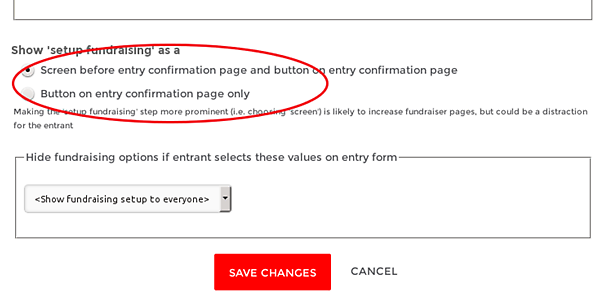 You can use the 'hide fundraising options' option in the settings to avoid showing the charitiess screen to some entrants, based on what they choose on their entry form. 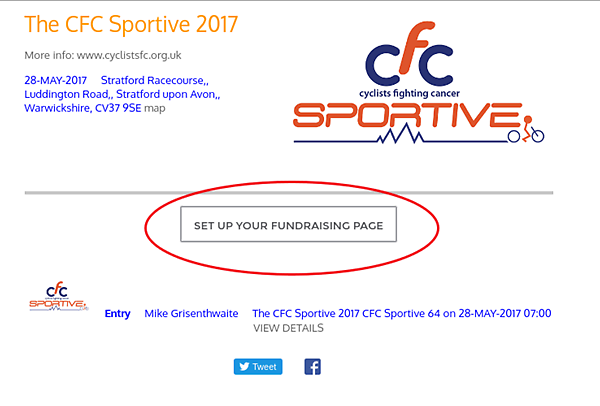 For example, if you have a dropdown on the entry form 'would you like to raise funds for a charity? 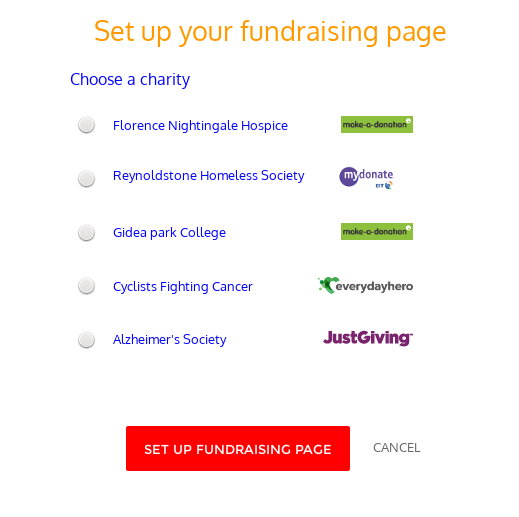 ', of which one of the options is 'No thank you', it makes sense NOT to show the charities screen to entrants who have already chosen that option. Let us know if you have any ideas or suggestions for our fundraising integration!